The world is such as delicate balancing act, just like the old saying goes ‘the flap of a butterfly’s wings has the potential to cause a tornado on the other side of the world.’ While that’s an exaggeration, the environment has many underappreciated aspects with the potential to cause catastrophe. Take, bees for example. The United Nations has revealed that honey-bee numbers are declining globally, with the worst cases occurring in Africa, Europe and the US. Colony loss is an incredibly important issue, and not only because of the honey these bee’s produce. Bees are also a crop pollinator, and without these little helpers around, farmers would report staggering losses to their industry. 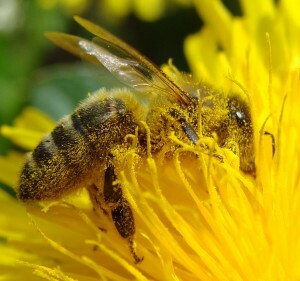 90 per cent of the world’s food is produced from cropping that relies on pollinators. It’s not difficult to imagine the implications if we were to lose the honey-bee’s extraordinary capabilities. The report identifies factors that have led to the decline of honey-bee populations, and these are mainly caused by man-made activities. Decline in flowering plants, the introduction of insecticides and pests to ‘manage’ crops are all facets that must be addressed if we are to nip this in the bud. Archim Steiner, Under-Secretary General and Executive Director of the UNEP made a remark which really caught my attention, and very soundly identified the key messages in loop’s philosophy. loop’s core philosophy is to lessen our impact on the natural environment. We want to equip a community to play a more active and sustainable role. I want to live in a world with bees, and I believe most people do too.